These adult black gloves will give your costume the final touch it needs! They are made from polyester and measure 9". 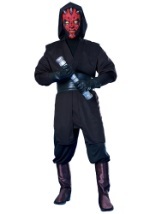 Accents any of our Star Wars or superhero costumes!